If this was an American commercial, there’d likely be a happy multi-racial family eating noodles around the dinner table to jaunty ukulele-xylophone music, and the ad would be market-researched to death. 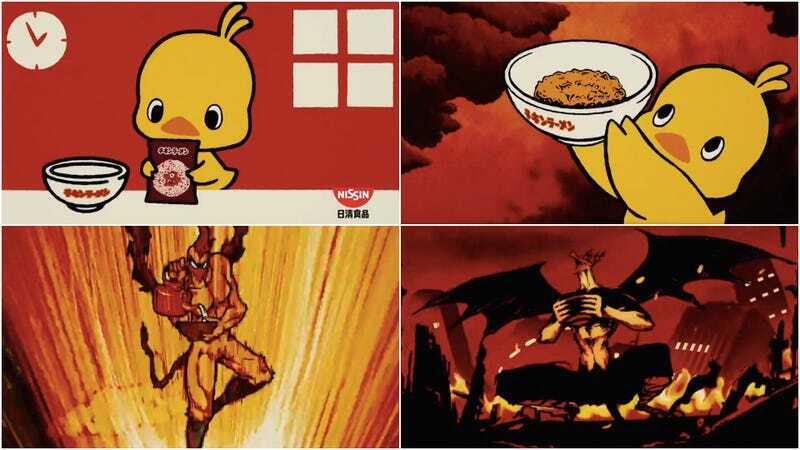 And then there’s this awesome 30-second spot from Japan, courtesy of Nissin—maker of instant noodles—that begins with an adorable chicken opening a ramen packet and quickly descends to the fiery depths inside the seventh layer of hell. I don’t know who Nissin’s target demographics is for this commercial, but maybe they also couldn’t give two shits. Watch below, and all hail.